Make the most out of IoT data. Deploy IoT solution to optimize operations. The Internet of Things (IoT) is transforming the everyday physical objects that surround us into an ecosystem of information that will enrich our lives. IoT has the greatest potential to improve operator productivity in production plants, improving the accuracy of warehouse management and inventory monitoring, reducing non-technical operations losses and enabling smart product tracking. First-class enterprises already benefit from IoT and plant-floor data using the collected data to predict and prevent equipment failure, improve reliability and reduce downtime. Manufacturers apply data insights to upgrade quality and lower inspection costs. According to PWC Research, the IoT is expected to drive a massive increase in connected devices and revenue growth across multiple industries. Now it is the right time to capture value from this developing megatrend. EAC Mini, a compact IoT gateway equipped with Intel® Apollo Lake N3350 processor, widely employed for factory and machine automation. The expansion modules are designed to be integrated with EAC Mini and provide flexible expansion on demand. 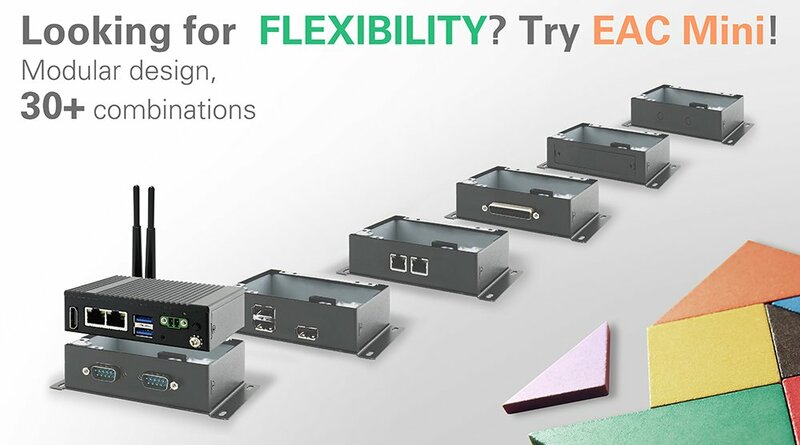 Endless possibilities to fit each unique industrial application! Modular design IoT gateway for expansion possibilities with 30+ combinations. Large European company working in renewable energy field modernizes the equipment of solar energy power inverters. Traditional embedded PCs were replaced by IoT gateways.to collect information from IP cameras and other external devices and directly send to router and internal LAN network. The solution allows remote control and data analysis. A factory on the North Europe was looking for a solution to optimize operations and comply with local labor safety regulations. 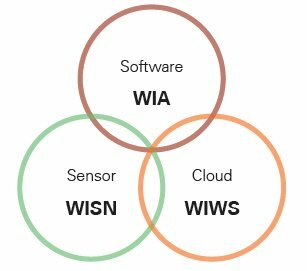 IoT Gateway and vibration sensors were installed in a car factory. at the surface polishing station. The system measures the real time speed and vibration of hand-polisher tools and notifies a supervisor when the level exceeds regulations. This solution allows tracking daily vibration exposure of a factory worker. On the way towards energy efficiency and lower operational costs modern building in Germany incorporated Winmate?? ?solution for building management. Complex system includes automation to control HVAC, lighting, utility consumption and access control systems. Human Machine Interfaces allow data visualization to increase building efficiencies through improved diagnostics and monitoring.